PinkDB is an acronym for “processing in knowing database”. In this blog post I tell you how I came up with the acronym and its meaning. When I start writing a blog post, I usually only have a vague idea of the title. I have to change it more than once. The Pink Database Paradigm (PinkDB) was no different. An early version of the title was based on the acronym “uDBasPE” for “use the database as processing engine”. I liked the meaning, but I knew the acronym was unfit. I had difficulties remembering it myself, and the first three letters pointed in the wrong direction. In a customer project we did it the other way around and named a code generator after a female first name. A few days later we had a meaning for the acronym. Nobody in the project remembered the meaning, but everyone remembered the name and most didn’t even know it was an acronym. That was an inspiring experience. I came up with “Pink” when I thought about the coloring of the circles in the figure of the architectural layers. Pink is the color of my wife’s car and it can be found in many places in our home. I wouldn’t wear pink clothes at conferences if I didn’t like the color. The partial meaning “processing in… database” for PinkDB was obvious. I googled for “PinkDB” and searched for “#PinkDB” on Twitter. Of course I found something, but nothing conflicting. Hence “PinkDB”. I just had to find a reasonably appropriate adjective beginning with “k”. 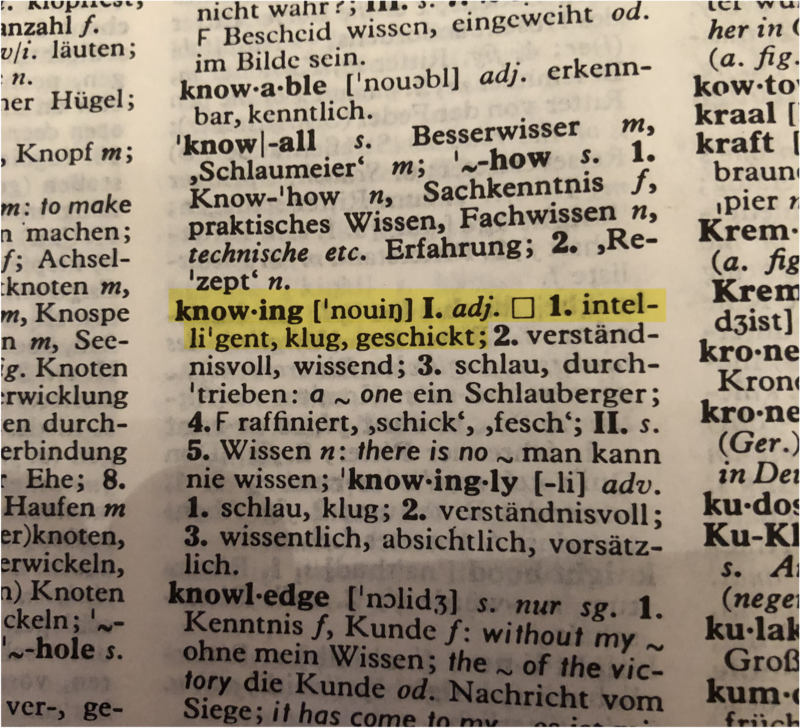 I grabbed my “Langenscheidts Handwörterbuch Englisch-Deutsch / Deutsch-Englisch”, that I’ve never touched in years and looked for English words starting with “k”. Only 5 pages… not many candidates. And “knowing” was my choice. 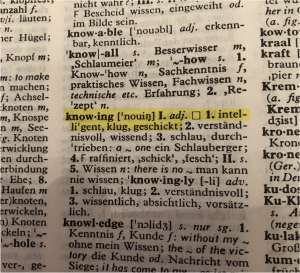 Knowing as adjective with meaning intelligent, clever, shrewd, smart. So, what makes the database knowing? – The optimizer. It’s the core of a good processing engine. Using the database as processing engine is a key feature of PinkDB. Pink it is.